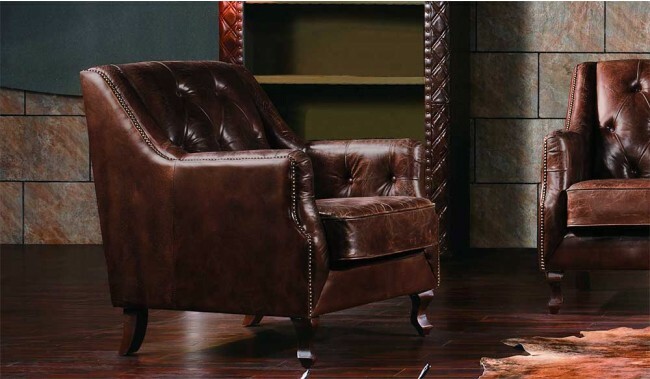 The Dowding armchair is a piece that would fit perfectly into any classically luxurious home. 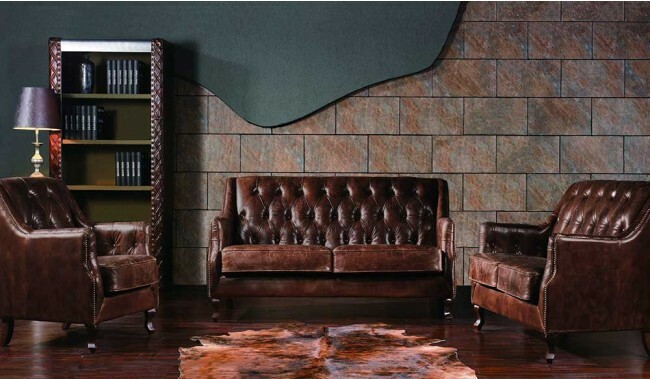 Using the elements of both vintage and contemporary in its design, it shows a truly durable, comfortable and affordable luxury product. Available as a standalone piece or with corresponding 2 and 3 seater. 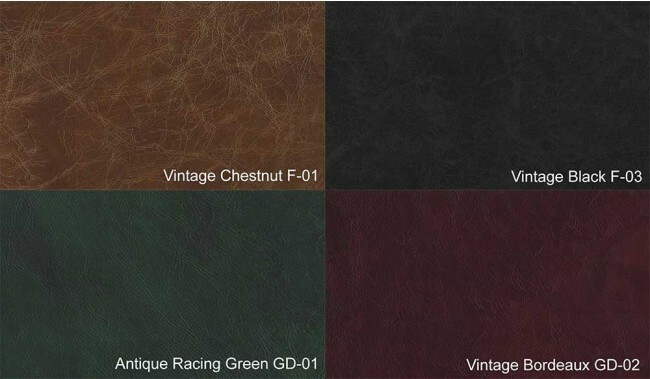 Available in 8 hand distressed top grain leather options. 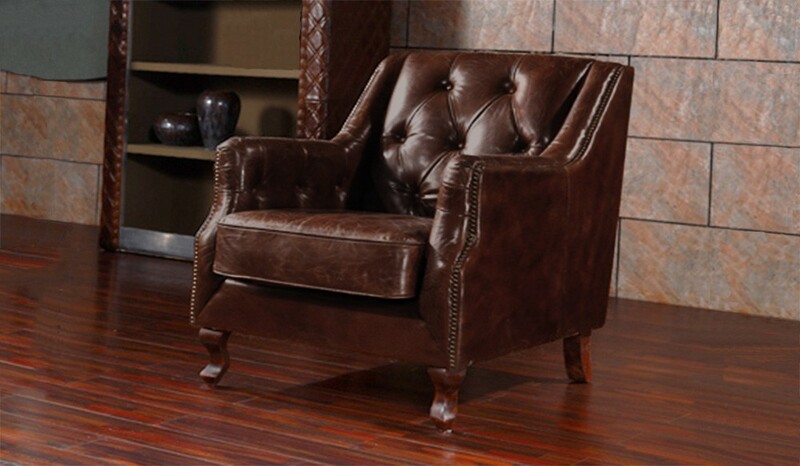 Hand crafted vintage leather sofa with classic good looks and super comfy with its mix of foam and duck and goose down fillings and luxurious hand aged top grain leather throughout. The leather is traditionally worked by hand to create a vintage aged leather that has a rich patena and soft, supple and scratch resistant. 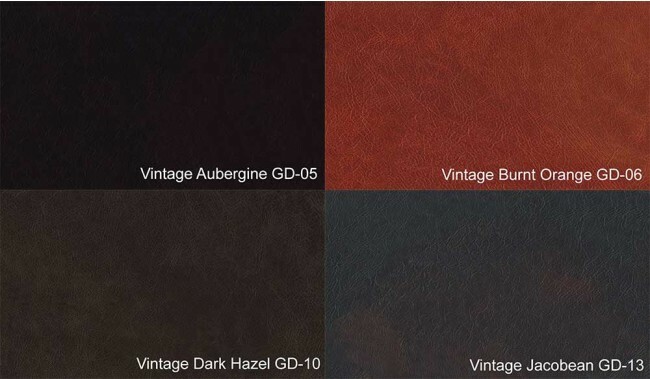 Vintage Leather: Hand distressed top grain leather at least 1.5mm thick. 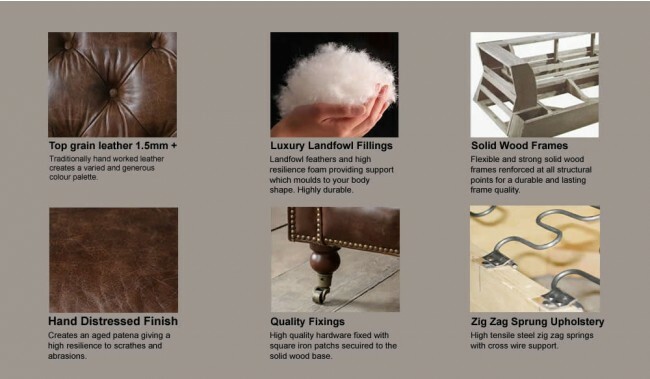 A 100% Natural material which will conform to your body and reconstitute with usage. 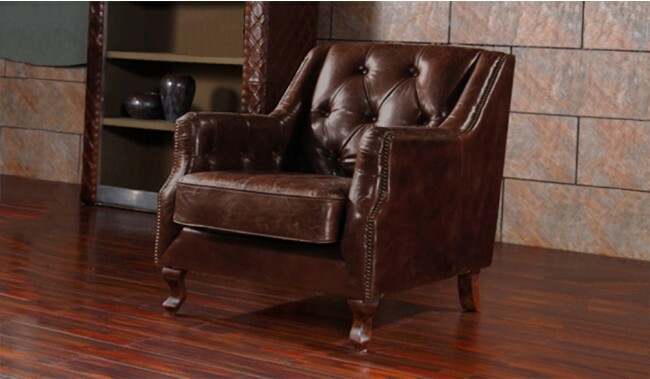 Highly durable and comfortable.